This Personalized Dry Pouches is only $5.99 !!! reg price $13 !!! Headed to the beach, amusement park, or the water park this summer?! This is a must-have. 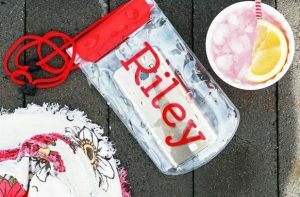 This adorable, personalized keep me dry pouch is perfect for those things you don’t want water or sand to get to. Perfect for your phone, money, & cards to keep them clean & safe. Personalized Name Bamboo Cutting Board for just $15.95 !!! reg price $55!!! Sequin Mouse Ear Headbands for only $7.99 !!! reg price $30 !!! Backstreet Boy Tees is just $13.95 !!! reg price $45 !! !